In the Philippi township in Cape Town, SOS Children’s Villages South Africa supports families who struggle to meet their children’s basic needs. For Lusanda Bodlisa, who grew up in Philippi, the SOS family strengthening team was a source of encouragement that helped him gain confidence and follow his own path despite the many challenges in his community. Lusanda Bodlisa, 21, grew up in the sprawling township of Philippi in Cape Town, South Africa. Like many other children in the community, Lusanda was raised by his extended family. After his mother died, his aunt Nomama took him in to live with her and her family. Despite all her efforts, Nomama found herself overwhelmed by the household needs. 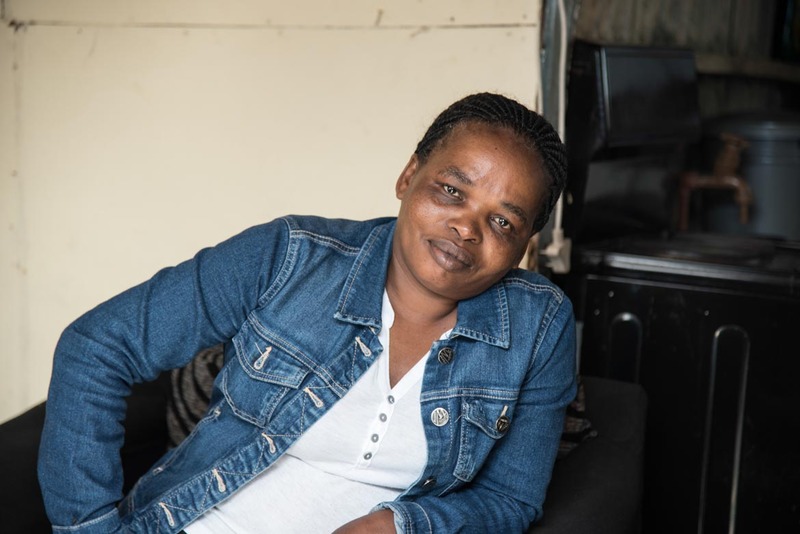 As a domestic worker, her pay hardly scratched the surface. In addition to her three biological children, Lusanda was an extra mouth to feed. Growing up in community marked by the effects of poverty and a lack of opportunities, 21-year-old Lusanda had to take responsibility for himself early on. “We were so many children and school uniforms and other needs were a problem,” Lusanda recalls. “We had to find a balance between clothes, stationery and shoes. Sometimes I would go to play to forget that I was hungry. Sometimes we went to bed having had only water mixed with sugar for dinner,” he says. For most of the more than 200,000 people who live in the Philippi township, each day is a struggle to survive. In this impoverished community, HIV and AIDS prevalence is high, and young people are suffering from alcoholism, unemployment, violence and drug abuse. Dropping out of school prematurely is a way of life, and gang affiliations and violence are common. 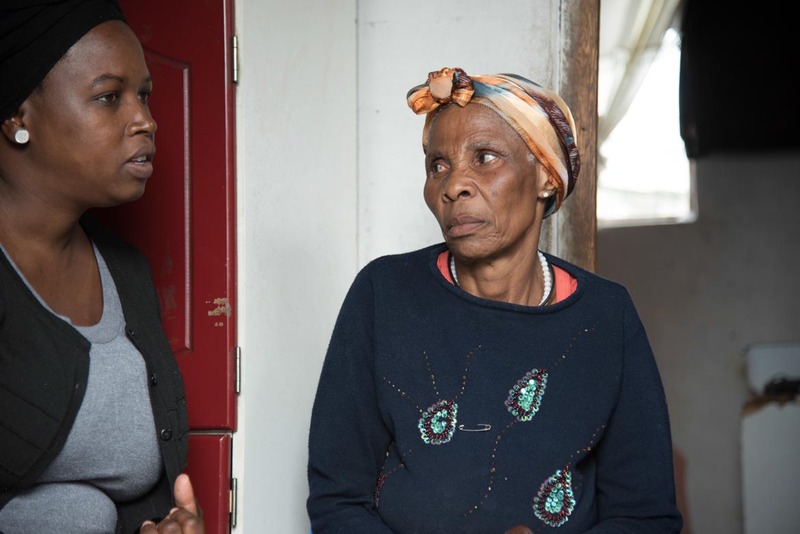 Many caregivers in Philippi try to sustain their families on what they earn through manual work, some run small businesses selling alcohol or vegetables, sewing, or washing cars, but they hardly earn enough for their families to survive on. 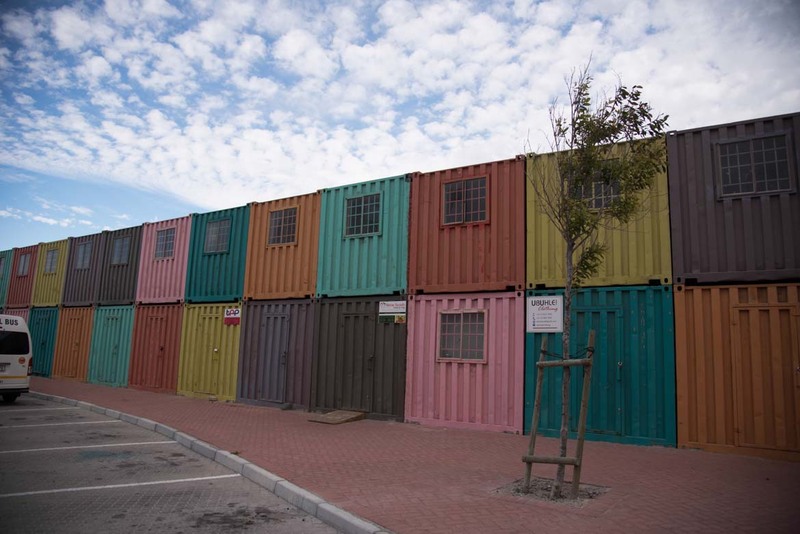 SOS Children’s Villages South Africa’s office location in the Philippi township in Cape Town. 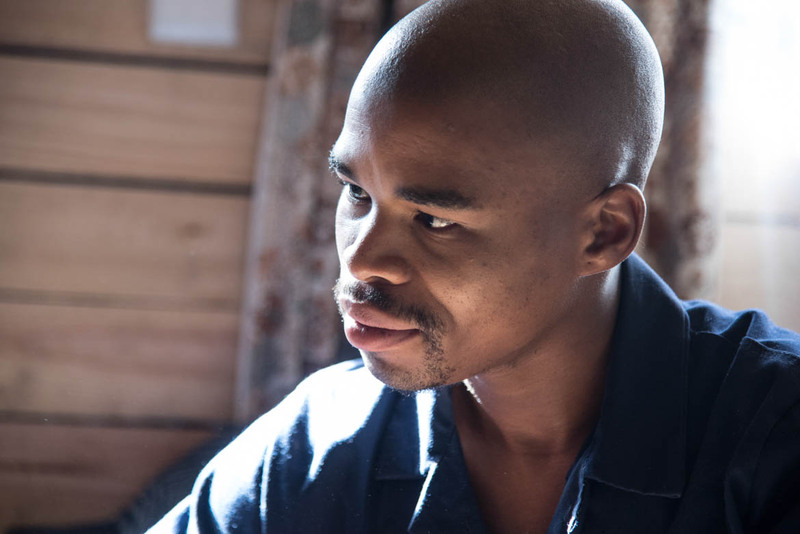 Even as a child, Lusanda was very aware of his aunt’s struggle to make ends meet. As a way to counter the hardship, Lusanda looked for work building shacks in the evening after school. In Philippi, it is common for children to leave school to find work to ease the burden on their parents. “At nine years old, I took care of my own needs so auntie Nomama would not have to,” says Lusanda. “I bought myself school and home clothes, and I helped auntie provide for the family when she had no idea where food would come from. Many times I thought of giving up on school to work permanently in order to lower the stress levels of life. But I was self-driven and resilient, for I had promised myself that I would make it in life,” he adds. Like many women in Philippi, Nomama struggled to sustain her family on her modest income. When SOS Children’s Villages South Africa started supporting families in Philippi in 2012, it was a new and desperately needed impetus for Lusanda, a teenager at the time. The goal of SOS family strengthening is to improve the living standards of resource-poor families through basic needs support and to ensure that children have access to essential services like education, food and healthcare. “Lusanda’s family received food parcels consisting of maize flour, sugar, fish oil, peanut butter and powdered soup, in addition to school uniforms, paraffin for cooking and winter blankets,” says Nosiphewo Gobo-Mpehle, the SOS community child and youth care worker. “Although primary education is largely free in South Africa, additional charges for uniforms, shoes, textbooks, and stationery are unaffordable. The financial constraint that comes with these indirect costs keeps children at home,” she explains. Many of the families SOS family strengthening co-worker Nosiphewo Gobo-Mpehle (left) supports area headed by grandmothers who are taking care of their children because their parents passed away or moved away to find work. 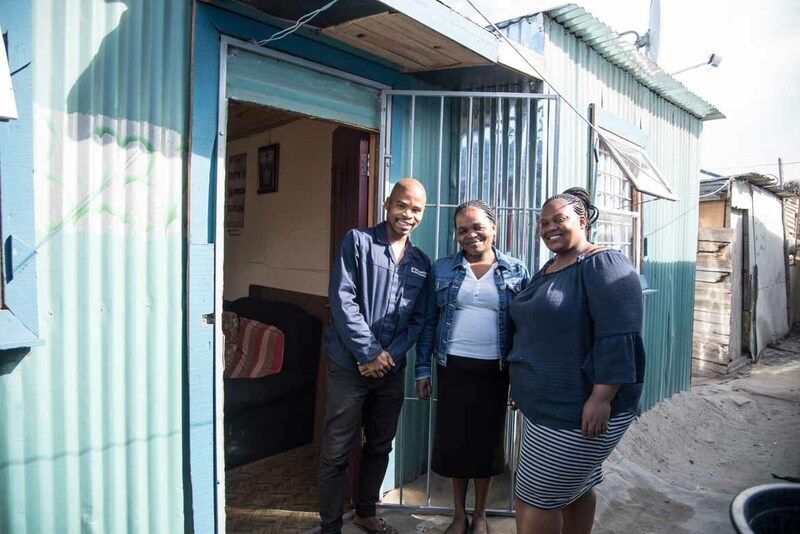 The support has helped the family increase the household income, and Nomama has been able to extend her house to three bedrooms and renovate it to acceptable conditions. Before, all family members slept in one bedroom. The family strengthening team also worked on a personal development plan with Lusanda, which covered topics such as education and employability, two essential areas for young people to reach self-sustainability and build a stable future in such a challenging context. In 2017, Lusanda received a scholarship to join a local vocational training center, where he is pursuing a diploma in flight and landing logistics. “My course will last three years. I receive a stipend of R2,000 ($150) per month which I have so far used to acquire a driver’s licence. I also use the money to pay for transportation to school, buying clothes and supporting my auntie here at home,” says Lusanda. Lusanda, his aunt Nomama (centre) and her niece (right), who also lives with her, in front of their home in Philippi. After his training, Lusanda hopes to find a job in a logistics company or in supply chain environment, and possibly even run his own logistics company at some point in the future.